The challenge of “making” Christians is as old as Christianity itself. Contemporary theologians and practitioners might draw upon models from over 2000 years of practice in any one of thousands of communities across the globe. Therefore, the choice that this study will look to the ancient catechumenate for normative guidance must be reasonably supported. Robert Webber wrote Journey to Jesus as an attempt to draw upon the catechumenate as a model for postmodern worship, evangelism, and nurture. He justifies this ressourcement upon the linkages made in his earlier work between the situation of the ancient church and that of the postmodern church. Most notably, the catechumenal process was developed and used in “a setting hostile to the church and its values” (41) that included persecution by the state and a religious scene that was both pluralistic and pagan. With Constantine’s conversion, Christianity moved from this position and has until recently enjoyed the privileges of state-sponsorship. “Now, for the first time in centuries, the church has been freed from the Constantinian model. The end of Christendom brings us full circle to a society similar to premodern times” (52). While much more could be said to connect the contemporary Western situation to that of the environment that birthed the catechumenate, perhaps it will suffice to add that major denominations have asserted its present usefulness. In 1972, through Vatican II, the Roman Catholic Church called for the reinstatement of the catechumenate as the Rite of Christian Initiation (RCIA). Balthasar Fischer, the chairman of the concilium that drafted RCIA explains: “It was not our intention to keep ancient texts merely because they were old or for nostalgic reasons, but because the texts, while they linked us with the past, still answered contemporary needs” (Ciesiak 7). In the decades that have followed Vatican II, other denominations have sought to revive their own baptismal and membership processes through the catechumenate including: the Evangelical Lutheran Church in America, The Evangelical Lutheran Church in Canada, the Presbyterian Church (USA), the Episcopal Church (USA), The United Methodist Church, the Anglican Church of Canada and the Reformed Church in America. The North American Association for the Catechumenate is the largest related collective for Protestants. The catechumenate was the ancient church’s process for Christian initiation, leading up to baptism and climaxing with first Eucharist. The earliest post-apostolic picture of the catechumenate comes from The Apostolic Tradition, written by Hippolytus of Rome (d. 235 AD). When newcomers came to the church, Hippolytus insisted that they be interviewed, along with those who brought them, later called sponsors. Sponsors would be questioned whether their guests were “capable of hearing the word” (Cuming 15). These questions were less about motive, and more about lifestyle: Did these inquirers have mistresses? If slaves, did they serve their masters faithfully? Were they gladiators, charioteers, idol-sculptors, actors, brothel-keepers, theatre producers, city magistrates or employed in some other immoral trade (Harmless 41)? If so, they would be required to make the costly choice to “cease or be rejected” (Cuming 15-16). Once admitted, catechumens would “hear the word” for three years of instruction, about which little is known. After this period, catechumens and their sponsors would be re-examined, again with attention primarily to lifestyle: “Have they honored the widows? Have they visited the sick? Have they done every good work?” (Cuming 17). If successful, they would be permitted to “hear the gospel,” again a phrase that raises uncertainties about its meaning. Presumably on the weekend leading up to Easter, catechumens would bath, fast and hold vigil in preparation for Baptism and the Eucharist. Following this ritual climax, Hippolytus prescribed further private instruction for the neophytes. The fourth century saw the golden age of the catechumenate as a flood of new converts streamed in as a result of Constantine’s endorsement of Christianity. Not surprisingly, this had a marked affect on the nature of the catechumenate. Whereas the few catechumens of the third century could be closely watched regarding attendance and their lifestyles carefully scrutinized, this was no longer feasible in the fourth century (Harmless 58). Moreover, examinations shifted to questions of motivation due to opportunists seeking political advantages (Harmless 58). Importantly, the doctrinal debates within the church and apologetic rhetoric directed at Gnosticism and Arianism resulted in shift to increased catechesis in doctrinal issues. Finally, three stages of the catechumenal process were distinguished: The catechumenate period, Lent and Mystagogy. By 400 AD, an additional stage, Evangelization was added to the beginning of this process indicating that some instruction was appropriate prior to enrollment. Ambrose of Milan, the fourth century bishop and catechist who oversaw Augustine’s initiation, described the purpose of the Lenten period as moral education. Ambrose believed that “in order to learn this way of life the competentes needed two things: (1) appropriate models to imitate, and (2) basic moral principles” (Harmless 95). For Ambrose, both of these needs were satisfied with Scripture: the Patriarchs were his chosen models, and the Proverbs were his source of principles. Later, as a catechist himself, Augustine conceived of Lent as a period of “boot camp or Olympic training” “to purge the poisons out of one’s system, to root out slovenly habits, and to sober up with other who sought recovery from an addiction to the world” (Harmless 380). 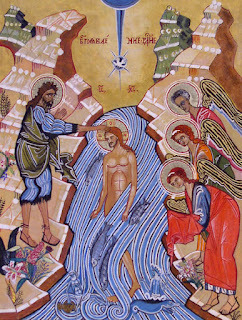 Mystagogy was the period that followed baptism. While Cyril emphasized the liturgical significance of this period—the Eucharist was now open to the neophyte—Chrysostom stressed the moral nature of this stage. The “gleaming” baptismal robes were to image their “godly conduct and strict discipline” (Chrysostom, Baptismal Instruction, 4.18 and 6.24). In a lament that resonates with the contemporary scene, Chrysostom wrote: “I see many after their baptism living more carelessly than the uninitiated, having nothing particular to distinguish them in their way of life” (Chrysostom, In s. Matthaie evanglium, 4.14). One suspects this sad and familiar state was the outcome of the fourth century prioritization of orthodoxy over orthopraxis. As this select review of features of the ancient catechumenate suggests, early Christian initiation gave significant, if not primary, attention to moral and behavioral formation. Thus, its success should be judged by its ability to produce people marked by a Christian way of life. This embodied aim significantly animates the RCIA. Harmless identifies two praxis-crucial dimensions of the RCIA in his summary of its prescriptions: “it should not only instruct [initiates] in the different ways of prayer, but also give them some experience of these” and “it should focus on the practical and the moral” (Harmless 5). RCIA calls for “implanting in [initiates] hearts…the morality of the New Testament, the forgiveness of injuries and insults, a sense of sin and repentance, the duties Christians must carry out in the world” (RCIA 40). This entails a “progressive change of outlook and conduct” that will be “manifest by its social consequences” (RCIA 37). The catechumenal processes of other denominations share a similar behavioral ambition, though it is not clear how any of these intend to realize it. Rambo, in his comments on the Consequences stage of conversion suggests that Jesuit theologian Donald Gelpi offers a “sophisticated approach to the normative interpretation of conversion (Rambo 146).” Gelpi highlights five dimensions of conversion: affective, intellectual, ethical, religious, and sociopolitical. The affective calls for a fundamental shift from selfishness to love on the emotional level. Intellectual conversion is the transfer from false ideology to that consistent with the Christian account of reality. Moral/Ethical conversion is the enacted transition from living for personal gratification to “living by the consistent principles of justice” (Rambo 146). Sociopolitical conversion is ones turning from unreflective acceptance of institutional violations of human rights to a commitment to collaborate with others in the reform of unjust social, economic, and political structures” (Gelpi 17). Therefore everyone who hears these words of mine and puts them into practice is like a wise man who built his house on the rock. The rain came down, the streams rose, and the winds blew and beat against that house; yet it did not fall, because it had its foundation on the rock. But everyone who hears these words of mine and does not put them into practice is like a foolish man who built his house on sand. The rain came down, the streams rose, and the winds blew and beat against that house, and it fell with a great crash (Matthew 7:24-29 TNIV). See Webber’s Ancient-Future Faith: Rethinking Evangelicalism for Postmodern World. Aristotle. The Nicomachean Ethics. Trans. David Ross. New York: Oxford University Press, 1980. Print. Bass, Dorothy and Craig Dykstra, Eds. For Life Abundant: Practical Theology, Theological Education, and Christian Ministry. Grand Rapids, MI: William B. Eerdmans Publishing Company, 2008. Print. Baucum, Tory K. Evangelical Hospitality: Catechetical Evangelism in the Early Church and its Recovery for Today. Lanham, Maryland: The Scarecrow Press, Inc., 2008. Print. Bourdieu, Pierre. Outline of a Theory of Practice. Trans. Richard Nice. Cambridge, UK: Cambridge University Press, 1977. Print. Buckster, Andrew and Stephen Glaizier. The Anthropology of Religious Conversion. Lanham, MD: Rowman and Littlefiled Publishers, 2003. Print. Chilcote , Paul and Laceye Warner, Eds. The Study of Evangelism: Exploring a Missional Practice of the Church. Cambridge, MA: Eerdmans Publishing Co., 2008. Chrysostom, John. Baptismal Instructions. ACW 31. Trans. Paul W. Harkins. New York: Newman Press, 1963. Print. _____. In s. Matthaie evanglium, Trans. George Prevost. A Select Library of the Nicene and Post-Nicene Fathers of the Christian Church. Hendrickson Publishers, 1994. (Volume 10:26.) Print. Ciesiak, William. “RCIA: Looking Back—an Interview with Fr. Balthasar Fischer”. Modern Liturgy 11 (June-August 1984). Cuming, Geoffrey J., Ed. and Trans. Hippolytus: A Text for Students. Bramcote: Grove Books Limited, 1987. Dillon, Michele, ed. Handbook of the Sociology of Religion. New York, NY: Cambridge University Pres, 2003. Print. Duckworth, Jessicah. “Conversion and Catechesis in the Community of Faith: Examining the Catechumenate in Eight ELCA Congregations.” Web. 12 Oct. 2010. Erau, Michale. Developing Professional Knowledge and Competence. Oxon, England: Psychology Press, 1994. Print. Finney, John. Finding Faith Today: How Does it Happen? Stonehill Green: British and Foreign Bible Society, 1999. Print. Gelpi, Donald. Committed Worship: Adult Conversion and Initiation. Collegeville, MN: The Liturgical Press, 1993. Print. Griel, Arthur L., and David R. Rudy. “Social Cocoons: Encapsulation and Identity Transformation Organizations.” Sociological Inquiry 54: 260-78. 1984. Harmless, William. Augustine and the Catechumenate. Collegeville, MN: Liturgical Press, 1995. Print. Hunter, Todd. Christianity Beyond Belief: Following Jesus for the Sake of Others. Downers Grove, IL: InterVarsity Press, 2009. Print. _____. Giving Church Another Chance: Finding New Meaning in Spiritual Practices. Downers Grove, IL: InterVarsity Press, 2010. Print. Miller-McLemore, Bonnie J. “The ‘Clerical Paradigm’: A Fallacy of Misplaced Concreteness?” International Journal of Practical Theology 11, 2 (2007): 19-38. Print. Myers, David. Social Psychology. New York, NY: McGraw-Hill, 1999. Print. Peterson, Eugene. The Message: The Bible in Contemporary Language. Colorado Springs, CO: NavPress, 2002. Print. Rambo, Lewis. Understanding Religious Conversion. New Haven, CT: Yale University Press, 1993. Print. Stek, John, Kenneth Barker and Ronald Youngblood. Today's New International Version (TNIV). Grand Rapids: Zondervan, 2005. Print. Tertullian, Quintus Septimius Florens. Apologeticum pro Christianis. Third Century. van der Ven, Johannes. Formation of the Moral Self. Grand Rapids, MI: William B. Eerdmans Publishing Company, 1998. Print. Webber, Robert. Evangelicals on the Canterbury Trail: Why Evangelicals Are Attracted to the Liturgical Church. Harrisburg, PA: Morehouse Publishing, 1985. Print. _____. Ancient-Future Faith: Rethinking Evangelicalism for Postmodern World. Grand Rapid, MI: Baker Books, 1999. Print. _____. Journey to Jesus: The Worship, Evangelism, and Nurture Mission of the Church. Nashville, TN: Abingdon Press, 2001. Print. Willard, Dallas. Renovation of the Heart. Colorado Springs, CO: NavPress, 2002. Holy Bible: Today’s New International Version (TNIV). The Committee on Bible Translation, Trans. Grand Rapids, MI: Zondervan Publishing, 2005. Bishops’ Committee on the Liturgy. Rite of Christian Initiation of Adults, Study Edition, (RCIA). Liturgy Training Publications, 1988. Print. As always, excellent work. Thank you. Your line, "early Christian initiation gave significant, if not primary, attention to moral and behavioral formation" strikes a chord with me. I am very much seeking to find ways to help us 'heady' Presbyterians become more grounded in a practiced faith. Your insights are quite helpful in this regard!